Someone once said that people who love people are the luckiest people in the world. (O.K. it was Barbra Streisand who sang that, but I hate disclosing that as it negates my cool, hip image. Well, all right, as cool and hip as an Ethics Professor can get.) There isn’t a day that goes by at Cooley when I don’t feel like the luckiest person in the world. And many of my faculty colleagues feel the same way. Through Cooley I have met the most interesting and wonderful people. My boyfriend is always urging me to invite more students for dinner as he enjoys getting to know the rich and diverse array of people at Cooley. – a significant number of obsessed sports fans. – a significant number of people whose lifelong dream is to be a lawyer. In every class there are people who hail from all around the world: this term I have students from South Korea, Trinidad, Tobago, and Canada. Although I am just getting to know my students this term, I already find them fascinating. By the end of the term when I have gotten to know some of them better, my life will be incredibly enriched. And thanks to Facebook, I can see how their careers and personal lives blossom long after they have left Cooley. It thrills me no end to see the marriages, babies, promotions and moves to other venues. I am indeed a very lucky person! Cooley Has Nation’s Top Law School Website Home Page! Georgetown Univ. 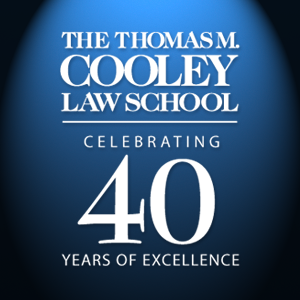 Law Center Places Cooley in Nation’s Top Two for Second Consecutive Year. Cooley Law School’s website homepage, cooley.edu, is the best in the nation, tied with the University of Pennsylvania, according to Georgetown University Law Center’s fourth annual ranking of the websites of the nation’s 201 ABA-approved law schools. Roger V. Skalbeck and Matthew L. Zimmerman studied and evaluated the 201 law school home pages based upon objective criteria to determine “the best-designed, best-performing sites.” They evaluated 26 separate design elements across the categories of “Design Patterns and Metadata,” “Accessibility and Validation,” and “Marketing and Communications.” Cooley had the largest total number of points across those three elements. 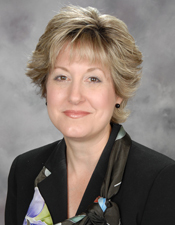 See Skalbeck, Roger V. and Zimmerman, Matthew L.,Top 10 Law School Home Pages of 2012, 3 J.L. (2 J. Legal Metrics) 51-76 (2013). In their 2012 report, Skalbeck and Zimmerman noted that Cooley’s 8th place ranking in 2011 was erroneous — Cooley actually should have been ranked 2nd in the nation for 2011. Id. at 56. We are very proud of the beautiful look, informative content, and exceptional utility of our great website. We hope that you will view and use it often.